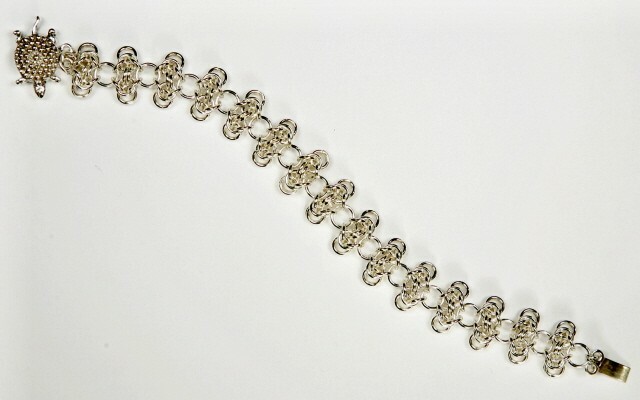 The Turtle Bracelet appears to flow like the ridge row on the back of a turtle as it lays along your wrist . It is fun to make and works up quickly. I found a turtle clasp that really seems to set the bracelet off. It is available if desired. This is a beginner weave.